A lil something to make your mouth water! This evening I made more Oreo Cheesecake Pretzel Bites. I plan to take them to work tomorrow. They will thank me for the sweet pick me-up! This is a super easy recipe that I got from picky-palate.com. And I had the cute lil fall sprinkle decorations to go on top! Is your mouth watering yet? Hahaha, and I’m having popcorn for dinner! 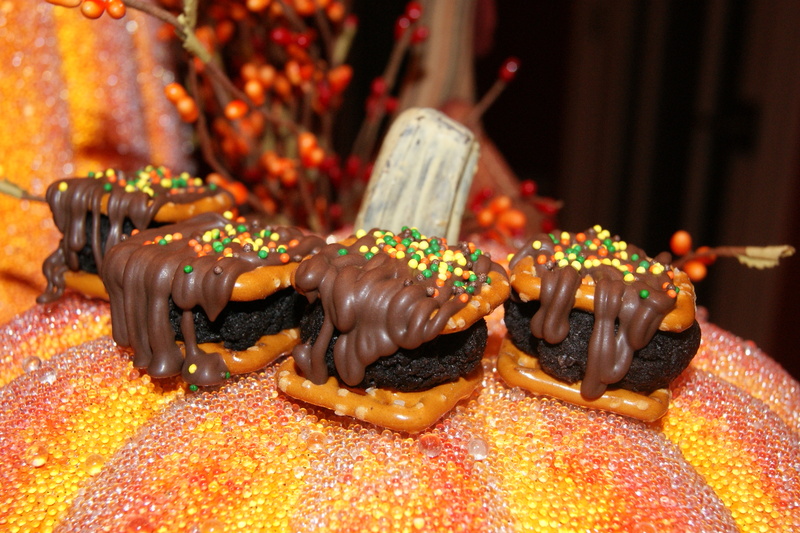 This entry was posted in Deliciousness and tagged Cheesecake, Dessert, Oreo, Pretzel. Bookmark the permalink.